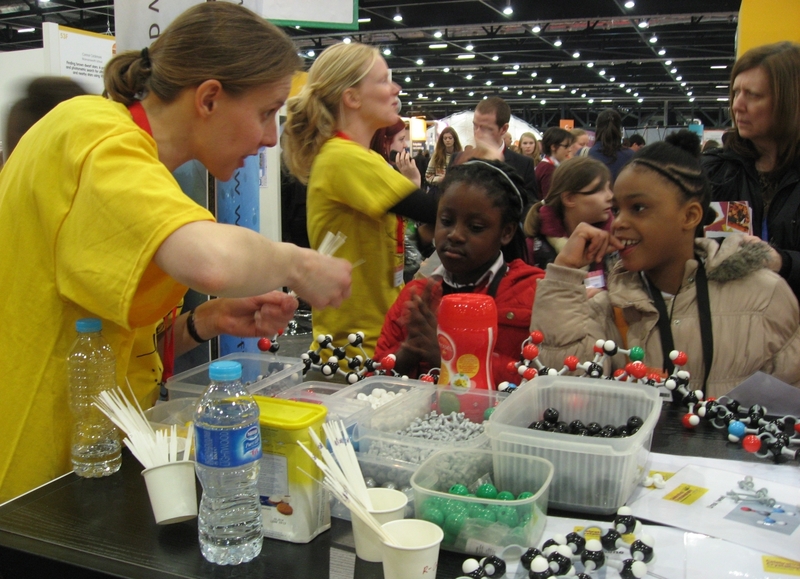 The Big Bang Fair is a free educational event open to visiting school groups that happens in March every year moving round the country. 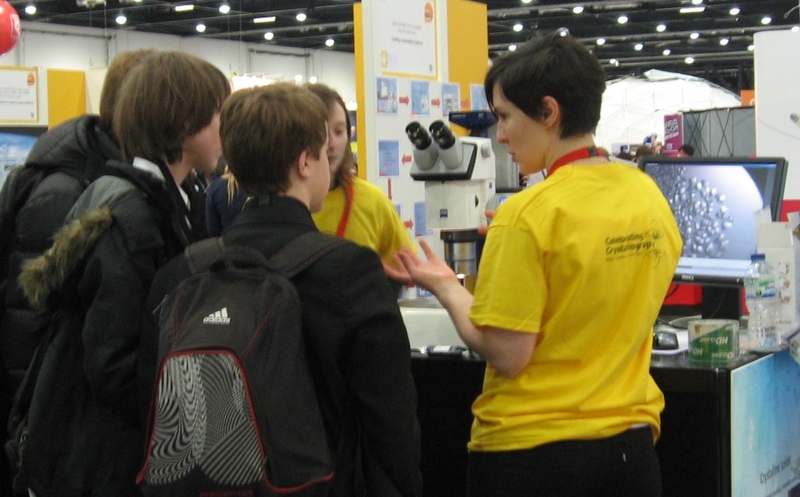 It works with partner organisations across business and industry, government and academia to try and give a flavour of the real scale of engineering and science in the UK, aimed at showing young people (primarily aged 7-19) just how many exciting and rewarding opportunities there are out there for them with the right experience and qualifications. 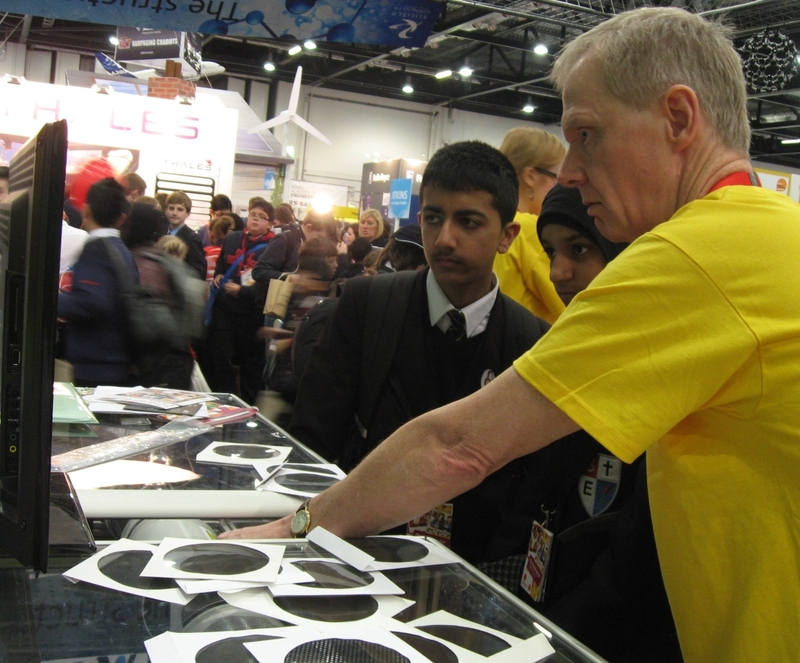 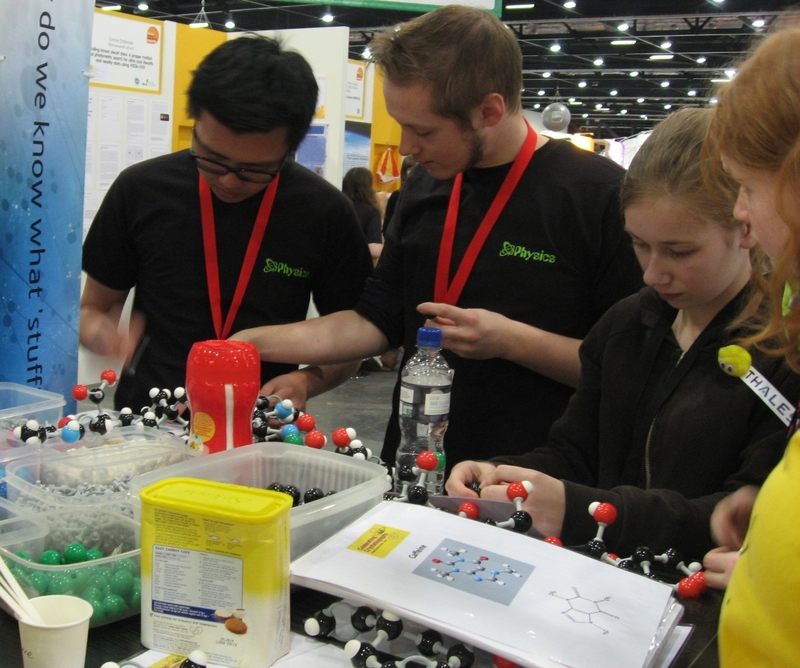 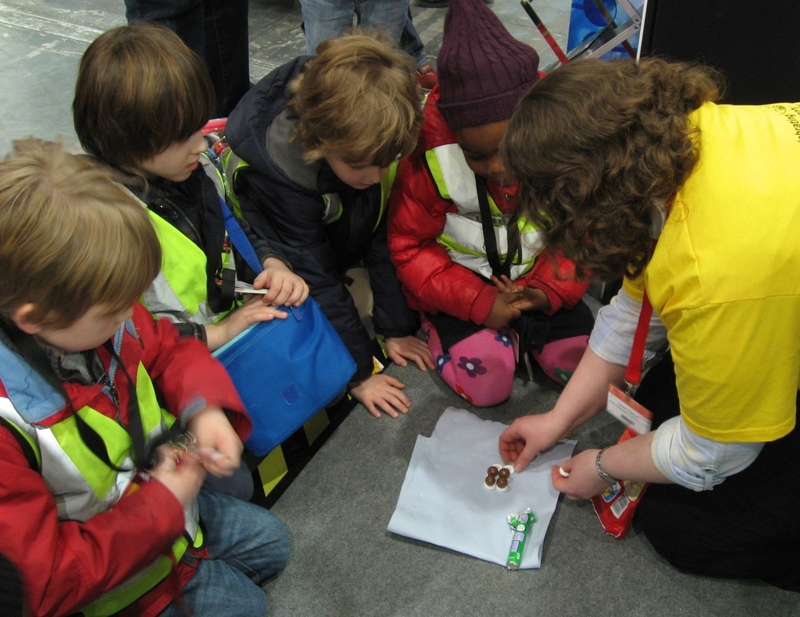 This year the Big Bang Fair is being held in the London, ExCeL Arena, 14th-17th March. 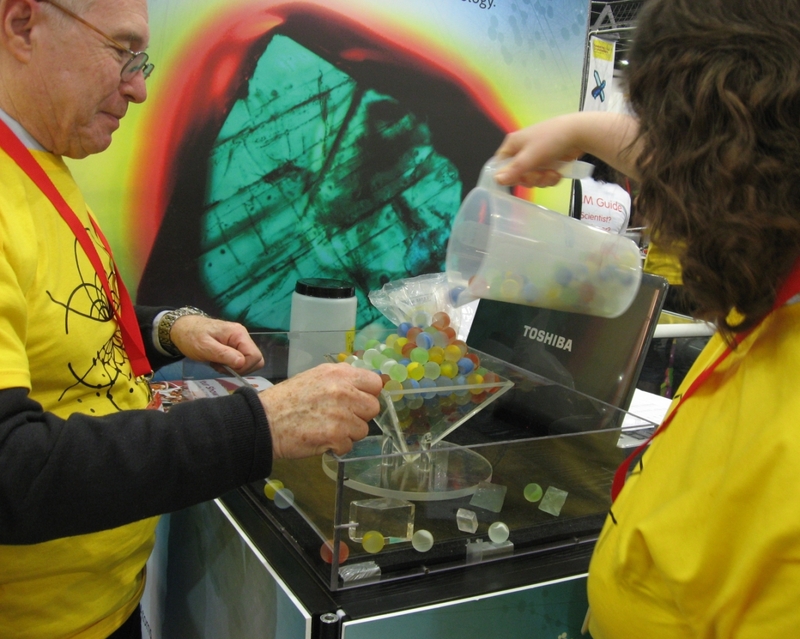 Since 2013 is the Bragg centenary, STFC have very kindly funded a stand at this year’s fair, which will be totally dedicated to crystallography. 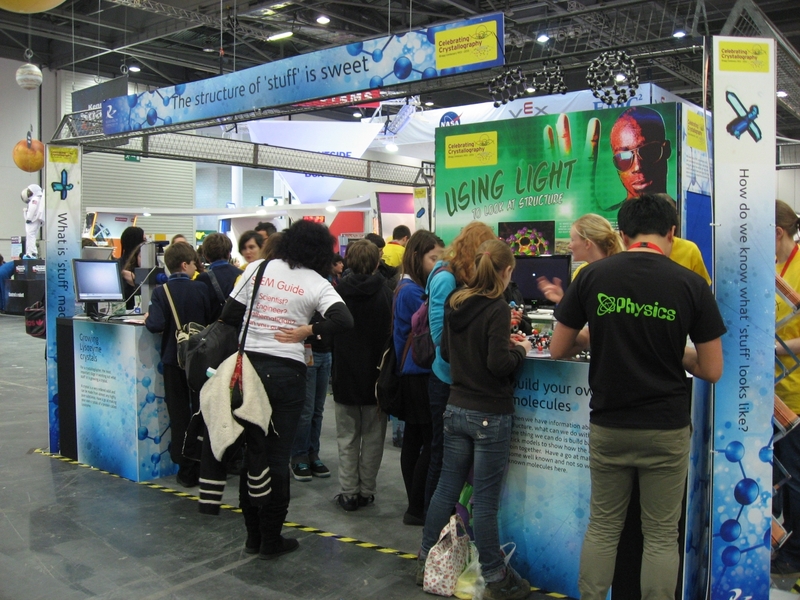 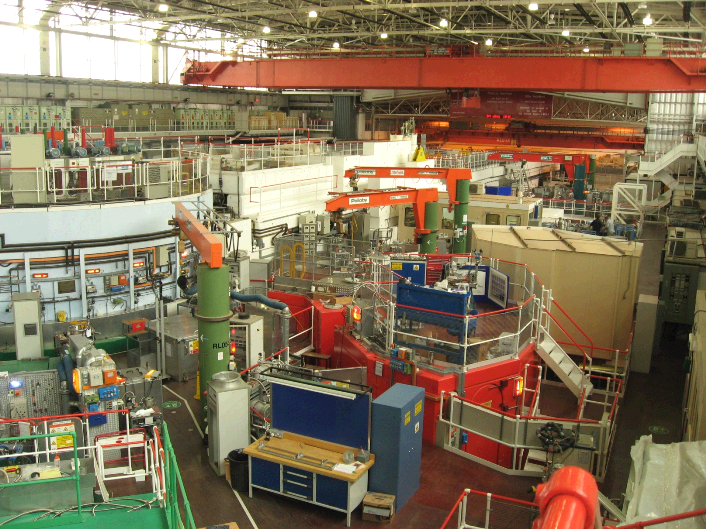 The BCA, Diamond Light Source, ISIS and STFC have worked together to develop the stand designed to tell everyone how great crystallography is through the medium of hands on activities, lasers, and sweets. 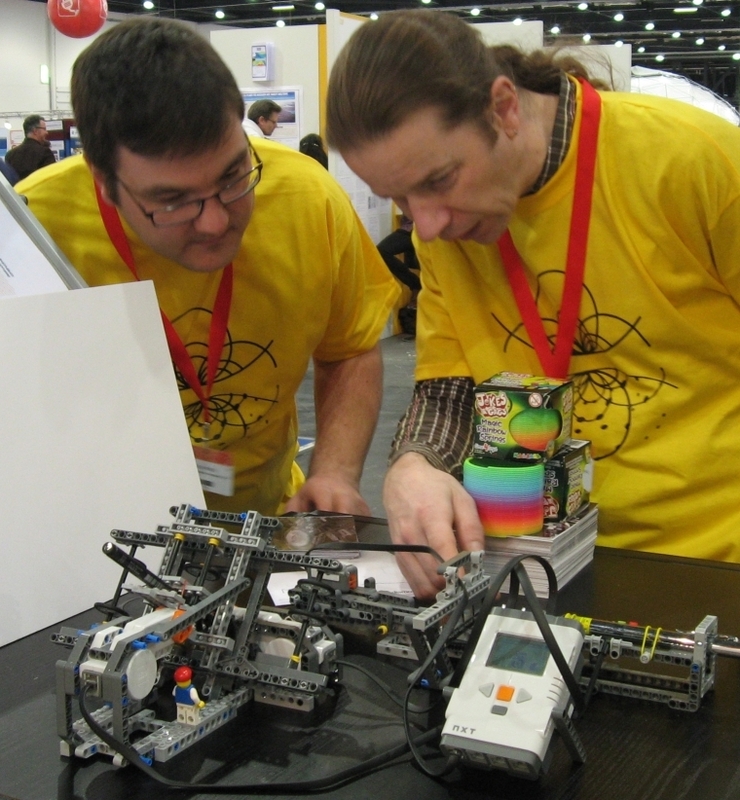 The fair is expecting 75,000 people (mostly children) through the doors over the course of four days, so Andrew Cairns, Josh Hill, Nick Funnell, Mike Glazer, George Pidgeon, Karim Sutton and Amber Thompson are all going along from Oxford to help out. 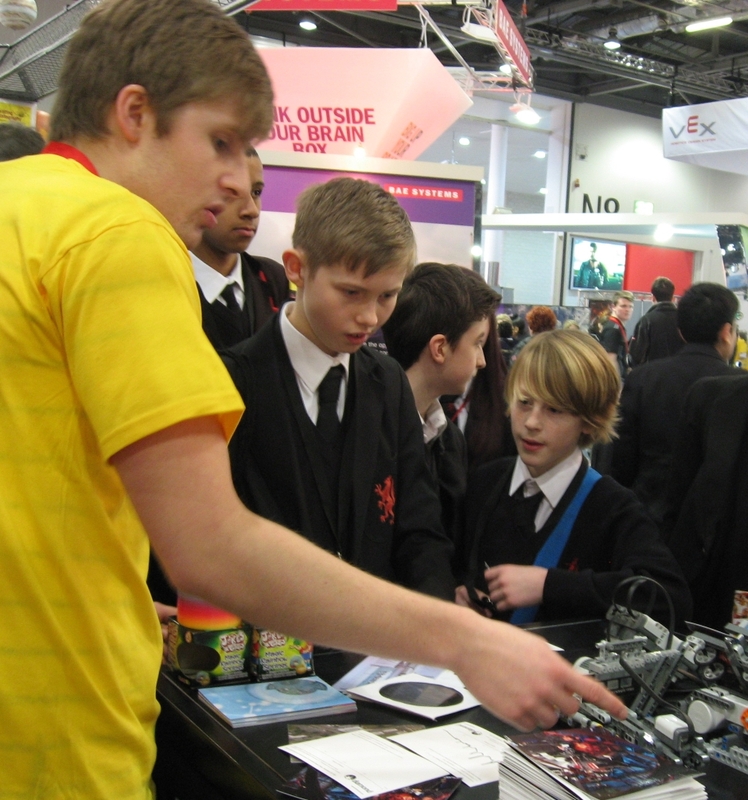 Here are some photos of the first day. 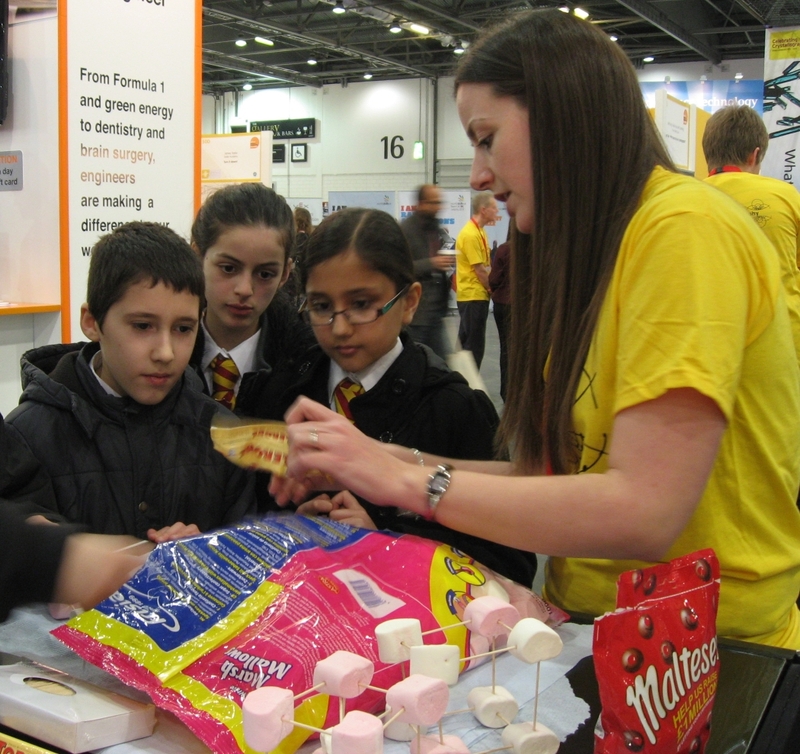 …especially when there’s sweets involved!